Mercier Orchards, nestled in the North Georgia Mountains, is a family owned and operated apple orchard. Started back in 1943 by Bill and Adele Mercier, Mercier Orchards has celebrated decades of fruitful harvests! The combination of sunshine, rainfall, cold nights, and the good soil of the North Georgia mountains helps produce the perfectly juicy apples that Mercier Orchards has become known for. One step into our market will tell you all there is to know about who we are and what we do. From the bottles of fresh cider and the assortment of just picked fruit to our tempting bakery and deli, you're sure to find something you'll like. Walk through our Market Store and browse shelves full of kitchen products, gourmet foods, and fun toys for the little ones. Grab a bite to eat in our deli, maybe our famous Pecan Chicken Salad sandwich or one of our delicious wraps made with Premium Boar's Head meats. 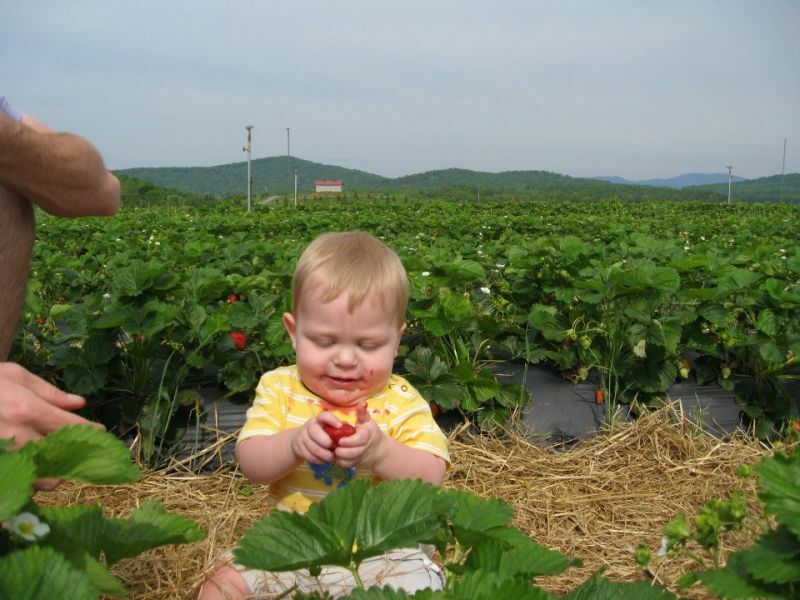 Bring the family to enjoy our seasonal tractor rides and U-PICK events! You're sure to have a great time! For updates on our events, follow us on Facebook!